We offer a range of products and services, please explore our site to learn more. If you don't find the information you need, please contact us or call Bob directly on 0408 274 532. Authorised Representative of NAS Insurance Brokers (AFSL 233750). 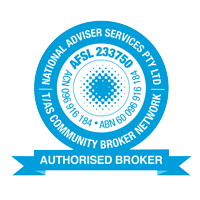 National Adviser Services Pty Ltd t/as Community Broker Network (CBN) are members of NIBA and as an Authorised Representative of CBN, we subscribe to the Insurance Brokers Code of Practice. The code is a statement of the industry’s commitment to high levels of competency, training and customer service. It also ensures that there is a free and transparent complaints and compliance review process which imposes binding sanctions for any breach of the Code. It is designed to promote better and more professional, informed and effective relationships between insurance brokers and their customers.